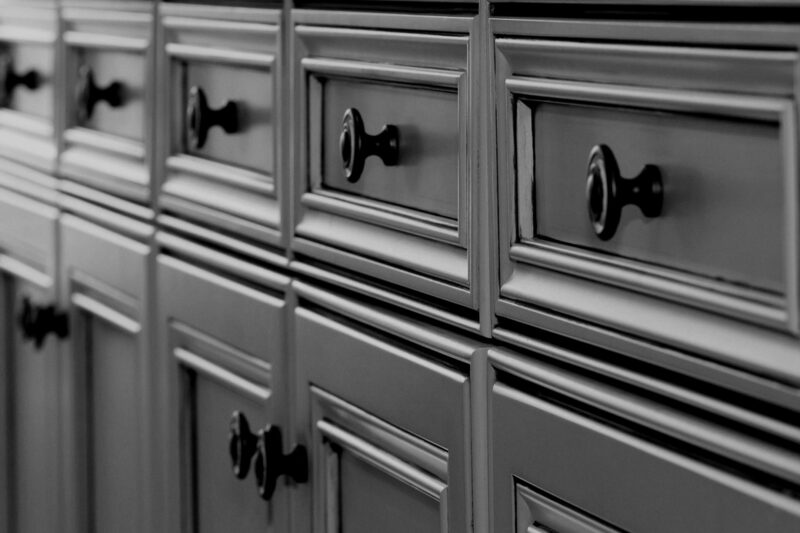 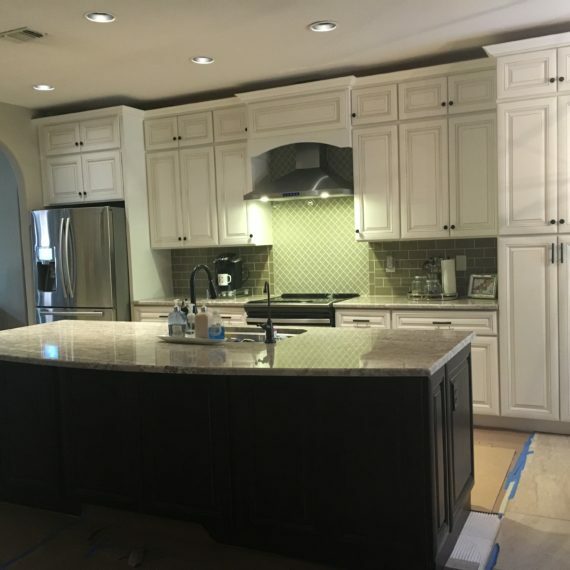 This kitchen was one of our biggest renovation projects to date. 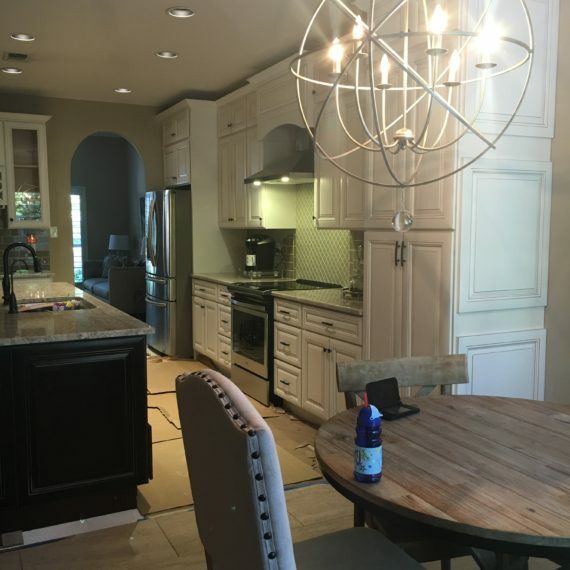 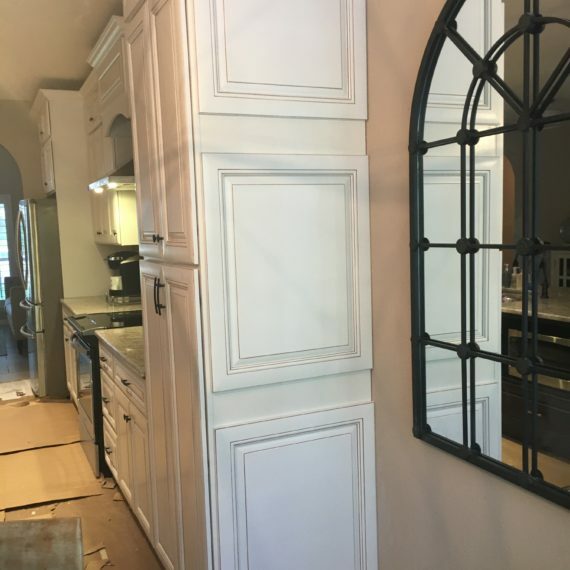 In order to give the customer the open floor plan they wanted, we had to remove an entire wall, repair the drywall, then redo the texture and painting to match. 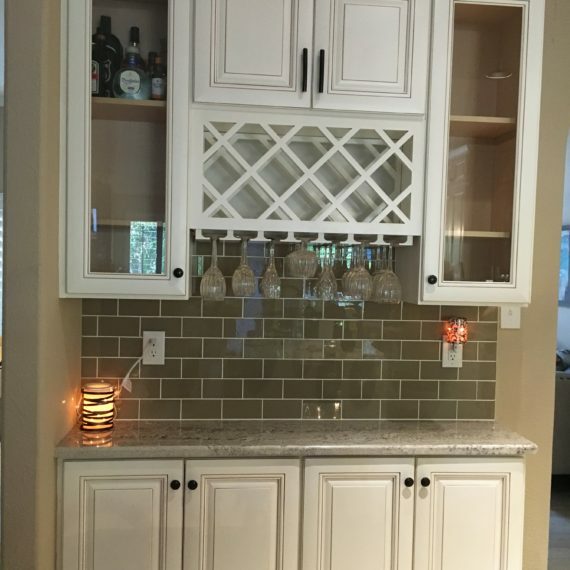 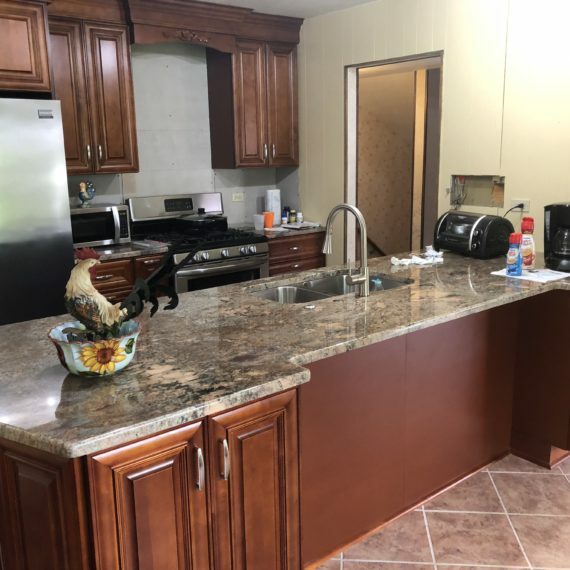 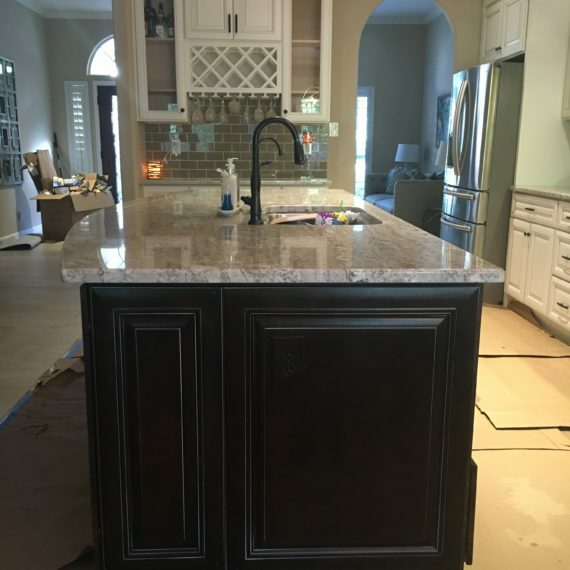 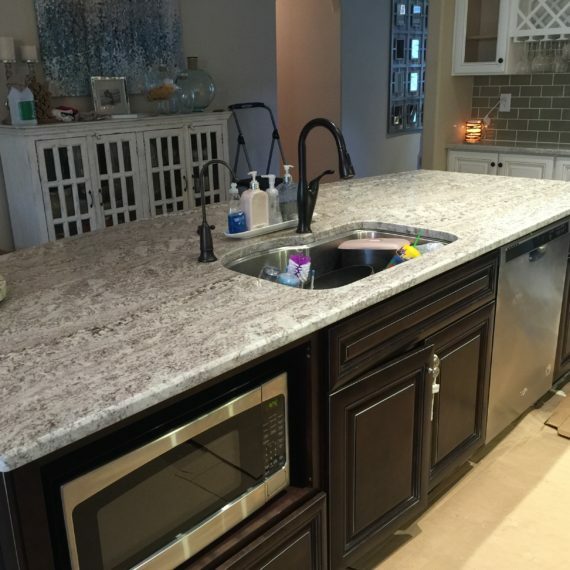 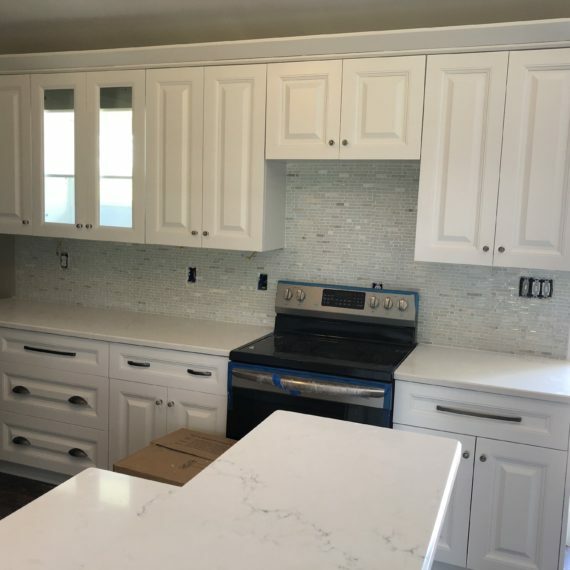 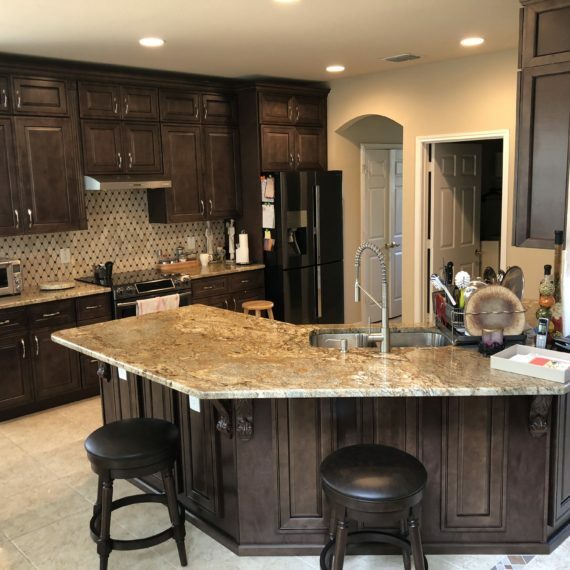 We also had to rework all of the plumbing in the kitchen before we could install the cabinets and countertops and move the sink location to the new island we built. 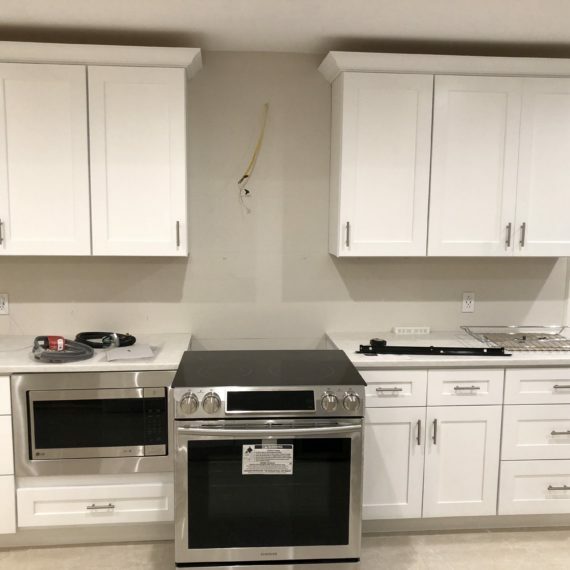 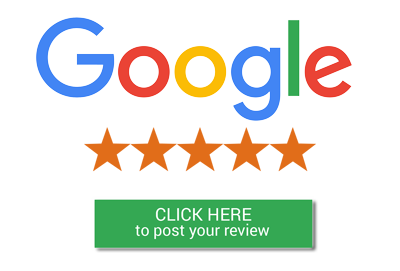 In the end, the customers were thrilled with their chic, two-color kitchen design concept. 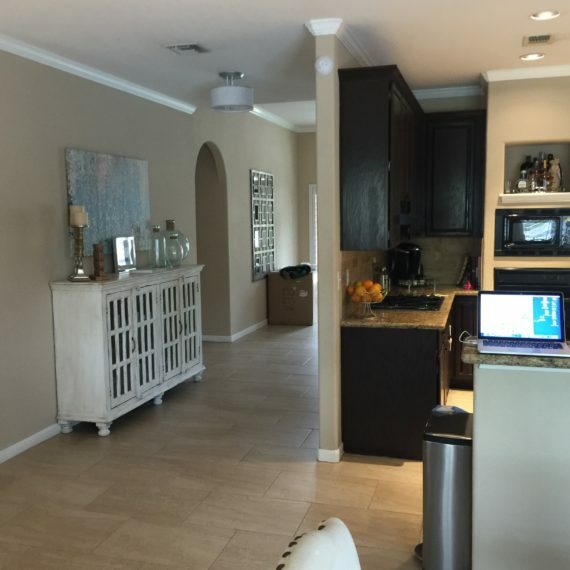 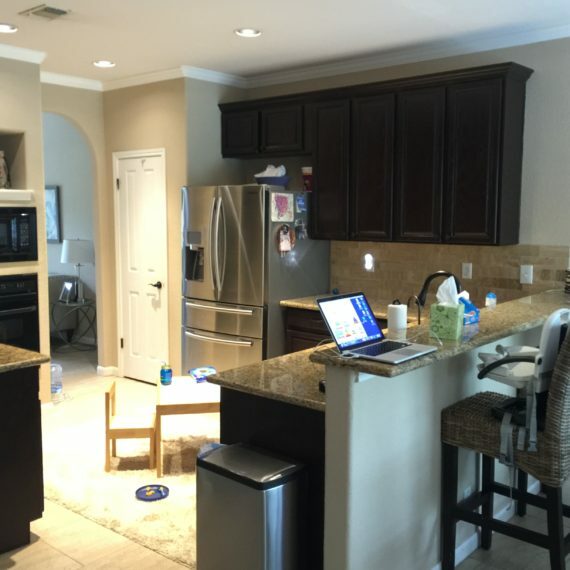 They love the spacious layout with the new cabinets, countertops and the new island. 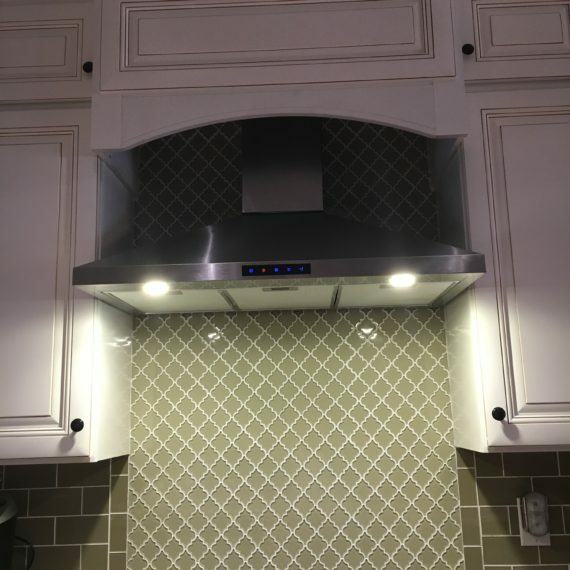 We were especially fond of the beautiful glass tile the client chose to use on the wall behind the stove. 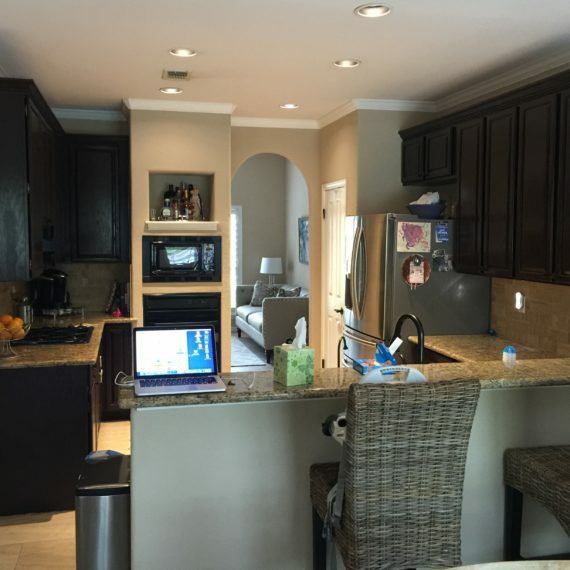 That additional splash of color helped bring the entire layout together in unison.